A brand new casino Big On Bets is inviting new players to play big and win bigger. The site offers a fresh approach to gambling and as we’re entering 2018, it’s undoubtedly one of the most unusual new casinos to start the year with. Amazing games, daily promotions and access on mobile make it a site to seriously consider. Big On Bets Casino is operated by Continental Gaming, a new name to many of you, we’re sure. For the same reason, it’s probably unlike any other casino you’ve seen before. Having launched just earlier this month, at the end of 2017, it sprang up from nowhere and came with BIG offers right away. Although the site is new, a team of very experienced people are running it. So, it isn’t surprising that Big On Bets Casino looks so strong from the first day. There’s a lot going on here, so let’s waste no time and cover at least the most important aspects in this review. For one thing, Big On Bets casino is easy to use and is available on all devices. This makes the site suitable for players on the go who are looking to switch to a new operator. We can’t guarantee Continental Gaming will prove better than your last operator, but it’s definitely worth a try. Using the casino is very easy too. The site design is very clear and simple, but also looks good. The black background isn’t distracting and the layout is just as we’re used to seeing at our favourite casinos. Although big in offers, Big On Bets casino is just the right size when it comes to the site and mobile compatibility. On the other hand, probably the most important reason to join is the ‘big’ mindset. Thanks to it, there are big casino bonuses, big loyalty rewards and loads of attention to details and overall quality. Let’s take a look at each big category one at a time. There are all kinds of games available here. From slots and table games to poker, keno and scratch cards – there’s nothing amiss. Plus, the casino game collection isn’t usual and has loads of titles you might not have heard about before. This is because all of the games come from Genii, a casino software provider that has next to everything in its portfolio. You won’t find the most popular software providers or their titles at Big On Bets casino. So, it’s really a site for those who want something new. At the same time, it won’t be comfortable to people who enjoy the same things all over again. But you know where to go if you don’t go big, right? There are over 100 games in total, so it isn’t a whole lot. What the casino lacks in numbers, it has in quality, however. 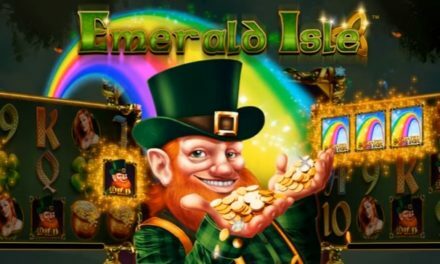 The slots section includes titles like Break The Bank, Captain Shockwave, Rise of Spartans and Lucky Leprechauns. The table games aren’t very numerous, but you’ll find multiple blackjack, poker, roulette and baccarat variants. New players at Big On Bets casino will get a first deposit bonus offer. That is 125% match up to £250 with 40x wagering requirements and seven-day expiry. If you choose to accept the offer, you’ll have to use the code BIG125. The minimum deposit eligible for the bonus is £20. If this offer doesn’t attract you too much, how about some regular promotions? There are plenty of them at Big On Bets casino. There are weekly promotions almost every day. For example, every Tuesday you can claim 30% match up to £300. On Wednesday, it’s 40% up to £200. On Thursday, Friday and Saturday, two deposit matches of 25% up to £100 can also be claimed. If you’re into blackjack, the casino will award top 5 blackjack players every single week. 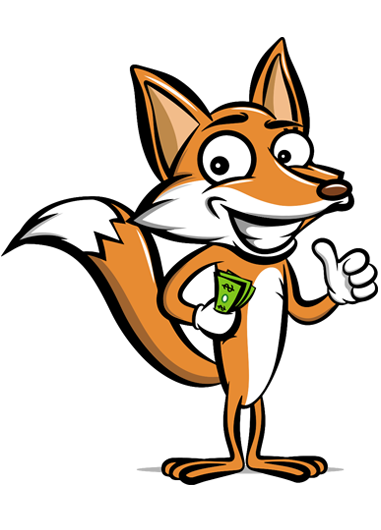 The prizes will vary from simple cash offers to casino bonuses. All you have to do it simply play at the casino and prove your worth. There’s also a loyalty program which you enter the moment you create an account. Every single bet will give you points, which you’ll collect to rise in tiers of loyalty. You’ll start with one star and may collect up to five of them. Each tier has increasing benefits and a welcome bonus when you reach it. All returning players will also receive birthday and anniversary gifts. The available payment options aren’t impressive, but neither are they bad. Among the accepted payments are debit, credit or prepaid cards, wire transfer, Skrill, Neteller and EcoPayz. E-wallets are the optimal choice for withdrawing as it only takes up to 24 hours to receive the money. Using cards may take much longer – up to 10 business days. They also have additional fees attached (£15), which can be avoided by using an e-wallet. The minimum deposit is £10 and the minimum withdrawal is £20. This is a perfect balance between user-friendly terms and comfortable limits for the casino to easily process the requests. The only term that we really don’t like is that you have to wager whatever you deposit before you can withdraw. Say, if you made a £20 deposit, you’ll have to wager at least £20 to cash anything out. Big On Bets support is available all the time, so you can write or call them whenever you have a question. There are many available options, too. We recommend instant live chat, but you can also call for free at 0808 238 9827, write an email or even fax them. Want to play at Big On Bets? Big On Bets is a new casino with a unique game collection and daily promotions! BIG ON BETS Although not the biggest casino of them all, it’s really impressive for a new casino. We recommend it for players who want a completely new gambling environment and experience. The biggest downside of this casino is the game collection that is relatively small. However, there will be a lot of new titles to discover despite that. Big On Bets casino is actually big on quality too, so it’s as good a site as any for 2018.